Pioneer’s entry level two-channel USB powered controller, now optimised for use with Rekordbox. Impressive high quality jog wheels are teamed for the first time with eight performance pads for triggering cues and effects, plus discrete, CDJ style play/pause and cue buttons. Compact form factor may be a plus point for some, along with the Pioneer look and feel, but the lack of ability to control four decks may force some to look elsewhere. If you’re sure you’re only ever going to want to use Rekordbox DJ, want eight performance pads, and don’t mind controlling two decks maximum, the DDJ-RB is a decent controller to get. The DDJ-RB only has an 1/8″ jack for headphones (sorry 1/4″ devotees), and the back has a pair of RCA master outputs, a USB jack, and a mic input with volume control. Lightweight, compact, and a far cry from the “toy” plastic DJ controllers at the turn of the decade, the DDJ-RB looks like a serious device: don’t let the size fool you! The DDJ-RB’s casing is made of hard plastic along with its facade, and the EQ and filter knobs are also made of plastic. They don’t feel cheap though. The jogwheels here are almost the same as the DDJ-SB2: this time they come in a stylish black glossy finish and carry the Rekordbox logo. 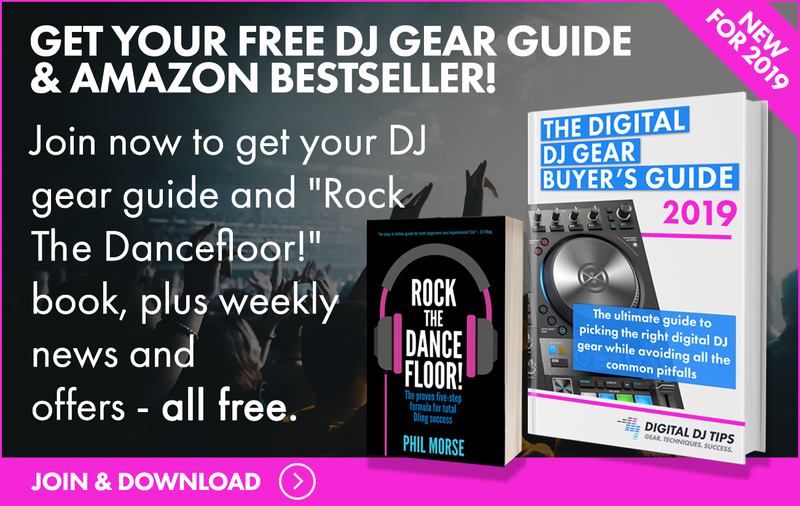 The two-channel mixer has faders and a crossfader that feel identical to the DDJ-RR, so that’s a plus for the DDJ-RB (or a minus for the DDJ-RR, if you want). There’s a single 1/8″ headphone connector on the front of the unit (gasp, no 1/4″! What’s the world coming to? ), and the back has a single pair of RCA master output jacks, a USB socket, and a 1/4″ mic input with volume. I hooked the DDJ-RB to my laptop, ran Rekordbox DJ (it comes with the DDJ-RB, so no extra spend needed), and got to work. The jogwheels on a DDJ-RB are large, especially for a controller this small. They feel great and are responsive in Rekordbox DJ. I’m really loving the form factor, especially coming from much larger controllers. The jogwheels are quite oversized for the device, and that’s a good thing. I never really warmed up to the jogs on a Traktor Kontrol S4 / S2 because they were so small, and I actually prefer the jogwheel-less Kontrol S8 because of this. For some reason, the black jogs strike me as making you look like you mean business when you’re spinning at even the kiddiest of kiddie parties (I’ve DJed a nine-year-old’s “rave”, for instance. Yes, I had fun because my musical taste falls squarely in that age bracket.). They feel great, integrate tightly with Rekordbox DJ, and are a joy to use, especially at a controller this size because jogs are usually the first thing that get shrunk in smaller controllers. Did I mention that I really like these jogs? The DDJ-RB comes with two rows of performance pads, plus Play/Pause and Cue buttons. This is a significant upgrade from the four performance pads / four transport pads of the DDJ-SB and DDJ-SB2. This is a big one: the Pioneer DJ DDJ-RB finally gives you eight full-featured performance pads. The DDJ-SB2 had eight pads, but the bottom row of four pads were reserved for transport controls. The DDJ-RB goes the whole hog, and now you’ve got two rows of pads that you can use for hot cues, Pad FX, Slicer, and Rekordbox DJ’s Sampler. This alone makes the DDJ-RB a more worthwhile controller than the DDJ-SB2 if you’re inclined to execute controllerism routines and the like. This is made possible because you now have separate play/pause and cue buttons that look like the ones on a CDJ to the left of either deck. 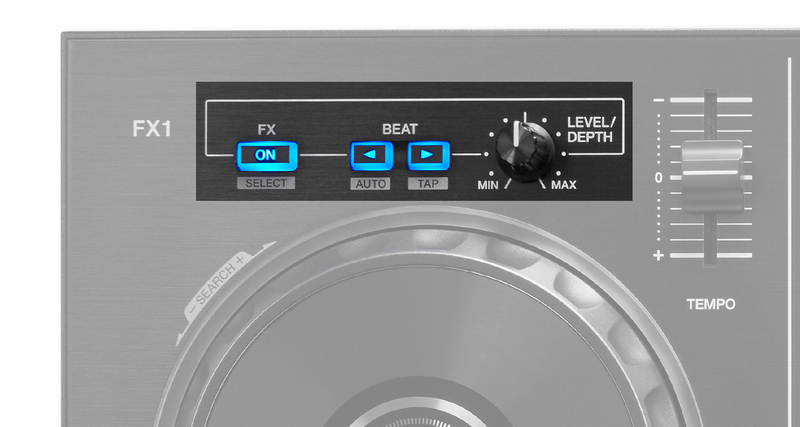 The DDJ-RB has trim pot knobs, three-band EQs, and filter knobs. Not too fond of the plasticky faders here, and the pitch faders feel flimsy. Pioneer DJ kept the upgraded mixer section of the DDJ-SB2, which includes trim pots, three-band EQs, and filter knobs. I’m not a fan of the crossfader here because it feels very plasticky, but having said that it’s loose and works well for cutting. There are five segment LED volume meters here, with each segment consisting of multiple smaller LEDs as with the DDJ-SB2 for higher resolution. The short throw pitch faders make their way onto the DDJ-RB as well. I was never a big fan of them because they just felt flimsy, but that’s just a minor gripe. Missing is the Filter Fade button that was specific to the DDJ-SB series. It basically combines a filter effect when you move the crossfader from one deck to another for smoother mixing, but it really was a non-essential feature. After all, if you’ve got totally usable filter knobs here, who needs an automated filter effect? Another thing that’s missing here is the ability to switch among four decks. That’s right, the DDJ-RB only lets you control two decks, which will bum some people out since the DDJ-SB2 had four deck control. 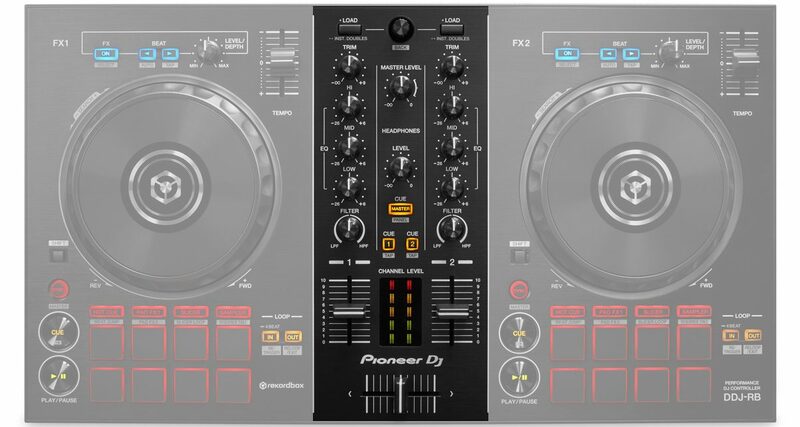 Surely it wasn’t a big deal to just add deck select buttons here, but I guess Pioneer DJ really wants this to be a strict two-channel device. The FX section consists of only one level knob, an FX on/off button, and two parameter buttons. The FX section has been simplified, with one main FX On buton and two parameter selection buttons as well as a knob. I think this works well with Rekordbox DJ, unless you’re the type who likes to have total control of three FX going on a the same time. On a device this small, I’d prefer having simpler controls like these any day to avoid a crowded layout. 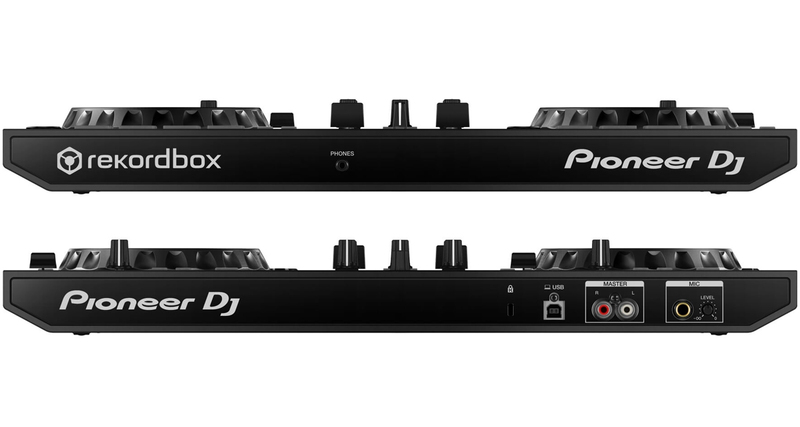 It’s a compact, portable controller with a layout that’s familiar and easy to use, but I feel Pioneer DJ could’ve added more Rekordbox DJ-specific things to it to make it a more compelling controller than its own DDJ-SB2, which is an excellent value. 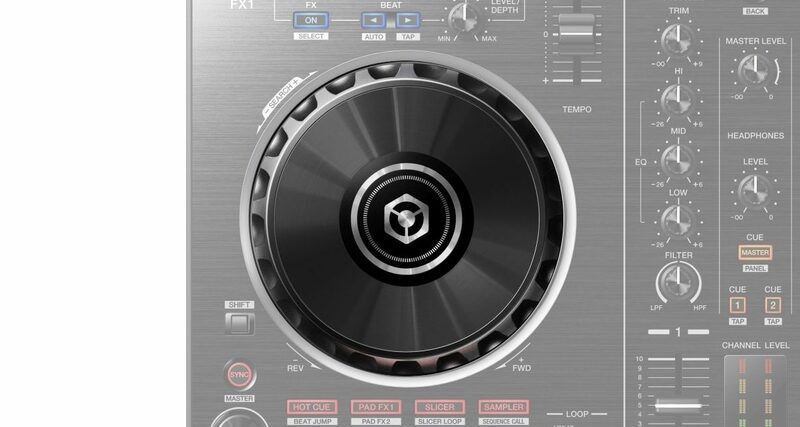 I’m a bit let down by the fact that there’s not much new on the DDJ-RB, except that it’s Rekordbox DJ-specific. 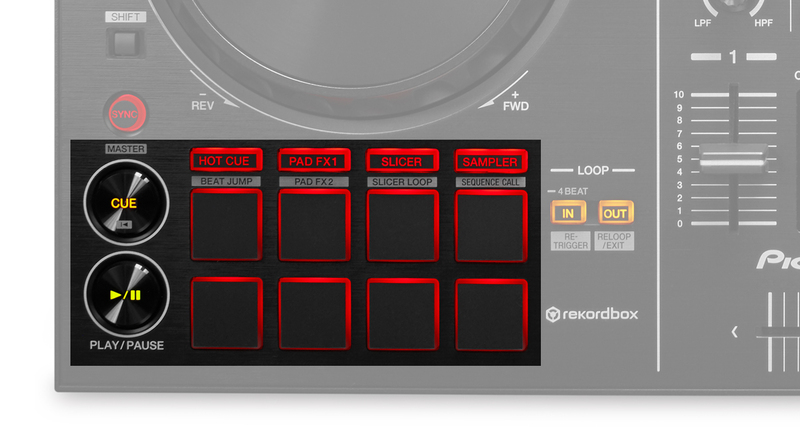 The Rekordbox DJ Sampler buttons, which are present in the rest of the DDJ-R line, don’t make an appearance on this device, which makes it less desirable than the DDJ-SB2 in my opinion. Serato DJ fans who like the look of this controller would naturally instead look at the almost-identical DDJ-SB2 (from Pioneer DJ too, but made for Serato). But did we mention that the DDJ-SB2 also works with Rekordbox DJ? 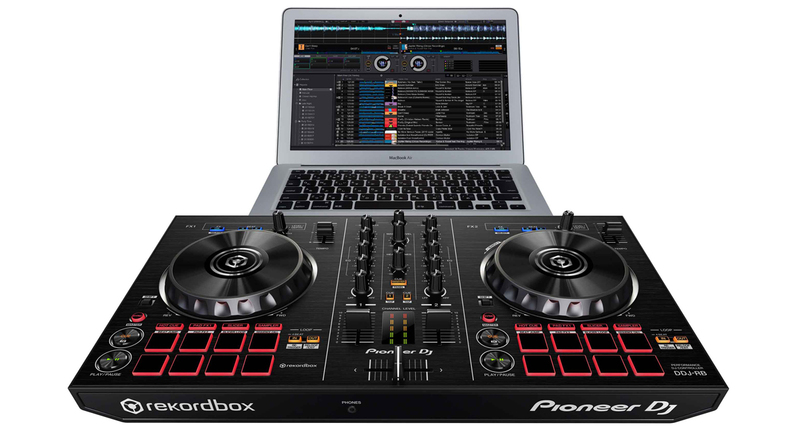 Well it does, and it also lets you control up to four decks in both Serato DJ and Rekordbox DJ. Of course you’d be stuck with just four performance pads instead of the eight on the DDJ-RR, but you would have a controller that works with both systems. 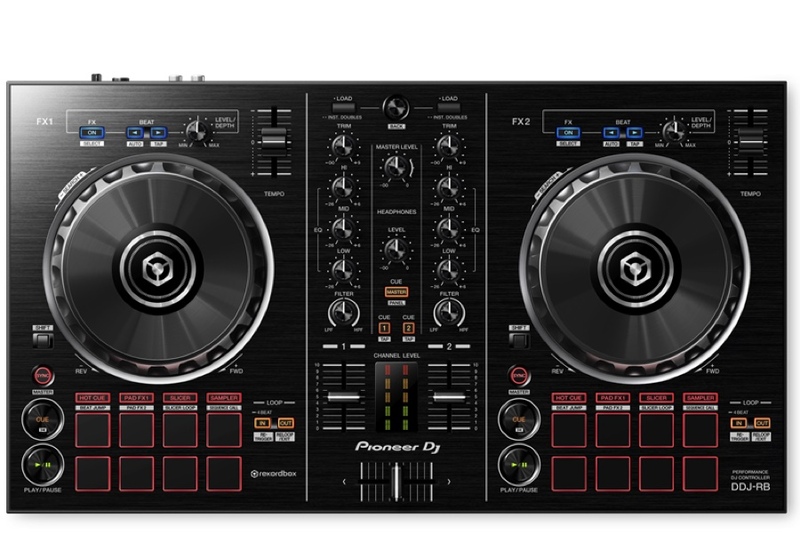 If I were to go for a beginner controller that looked pro, I’d go with the DDJ-SB2 because of the software flexibility as well as the four-deck control. However, if you’re sure you’re only ever going to want to use Rekordbox DJ, want eight performance pads, and don’t mind controlling two decks maximum, the DDJ-RB is a decent controller to get. I just feel like Pioneer DJ could’ve baked in more goodies to make this a compelling device instead of just a “made for Rekordbox” revision. Hey Joey, is the DDJ RB compatible with Djay Pro on an iPad? I would like to ask something if who’s the best of these three mixer DDJ-RB, DDJ-SB2 and DDJ-RB3?